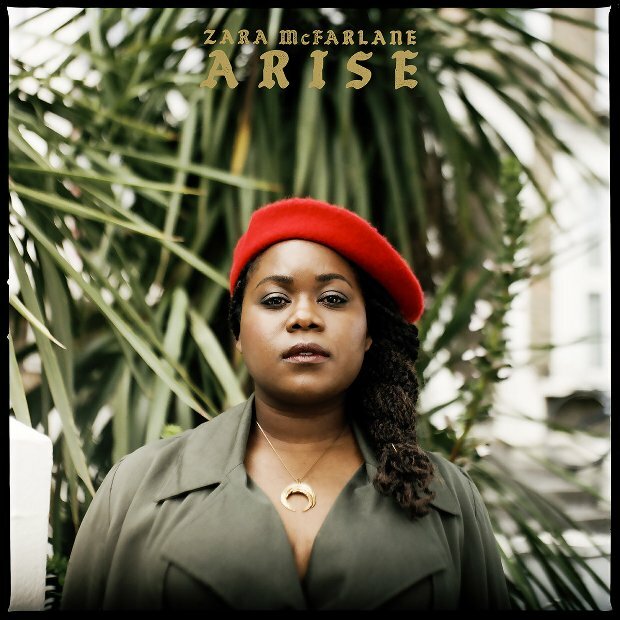 With this new album, her third, singer-composer Zara McFarlane approaches the portals of greatness. She has honed a very individual style from the musical materials she has been surrounded by: first of all, the strong Caribbean influence - essentially reggae – that she absorbed from her parents; second, her subsequent immersion in a vibrant and diverse London jazz scene; and third, her recent researches into her Jamaican heritage, pre-reggae, all the way back to its cultural and religious roots in Africa. More important, McFarlane has the ability to write songs of great maturity, subtlety and power which are also maddeningly catchy – particularly Fussin’ and Fightin’ and the brilliantly oxymoronic Freedom Chain. Her light, sweet, effortless voice is what first brought her to the attention of the UK music industry. Here on Arise, she has multi-layered these vocals to stunning effect. And speaking of oxymorons, the overall mood is simultaneously calm but troubled and moody, a gathering storm that never completely breaks. Friends and fellow alumni of Tomorrow’s Warriors provide admirable support: principally drummer and producer Moses Boyd, bassist Max Luthert, pianist Peter Edwards, tenorman Binker Golding and trombonist Nathaniel Cross. And Shabaka Hutchings makes a guest appearance on bass clarinet on the tracks Pride and Silhouette, contributing a langorous, melancholy solo to the latter. Elsewhere McFarlane is content to rely on almost no one but herself, as on Allies or Enemies, where she is backed by nothing more than a simple acoustic guitar and a bit of percussion. All the vocal arrangements, and some of the horn arrangements, are her own. The two non-original songs on the album both come from 1970s reggae: Nora Dean’s Peace Begins Within, and Fisherman, by vocal group The Congos. The album is bookended by McFarlane’s wordless African chants Ode to Kumina and Ode to Cyril. Zara McFarlane appears at Rich Mix in Bethnal Green on 15 November as part of the London Jazz festival, with dates around Europe before and after.